...a Severe Thunderstorm Warning Remains In Effect Until 500 Pm Cdt For Northeastern Milam County... At 446 Pm Cdt, A Severe Thunderstorm Was Located 13 Miles East Of Rockdale, Moving Northeast At 35 Mph. Hazard...60 Mph Wind Gusts And Penny Size Hail. Source...radar Indicated. ...Read More. CROCKETT – In a letter to the editor found in this edition of The Messenger, Crockett City Councilman Butch Calvert called for the dissolution of the Crockett Economic and Industrial Development Corporation (CEIDC). In the correspondence, the Precinct One Councilman described during his tenure as an ex-officio officer with the CEIDC. “As many of you may remember, there was much miscommunication, distrust and blatant insubordination between the two entities in early 2017 which led the city council to dissolve the CEIDC board and replace all the former members,” Calvert stated. Following the removal of the former board members, new board members were appointed while Calvert, along with Precinct Two Councilman Darrell Jones were appointed as ex-officio officers. He added meetings had to be cancelled because of the lack of a quorum and when a quorum was present, little or no action was taken by the board members in attendance. “This sort of turnover and apathy simply doesn’t allow the board to be an effective governing body,” the councilman stated. While Calvert stressed he believed CEIDC Director James Gentry had the best interests of the city in his heart, he also indicated Gentry had a tough job to do in bringing in new business. “Crockett is a very hard sell for a variety of reasons and one of the biggest reasons is the state of our infrastructure, especially our streets,” the letter stated. The monetary figures were also broken down by Calvert. He explained the city of Crockett had an 8.25 percent sales tax and of this 8.25 percent, Crockett collected 1.5 percent. Of the 1.5 percent received by the city, one third – or roughly $500,000 – went to the CEIDC. According to Calvert, 50 percent ($250,000) of the $500,000 goes to CEIDC debt repayment. Thirty percent, or $150,000, goes to the salaries and benefits of the two CEIDC employees while the remaining 20 percent, or $100,000, is allocated for financial incentives to possible clients. Rather than continue the current course of action, Calvert proposed disbanding the CEIDC, thus allowing the city of Crockett to retain the approximately $500,000 received by the CEIDC. Half of this money would go to repaying the CEIDC debt while the other half would go to the city of Crockett’s street department. On Thursday of this past week, the councilman was contacted for further explanation of this two-pronged proposal. When Calvert was asked about the timing of his proposal, he explained the council would soon be preparing the Fiscal Year (FY) 2019 budget. Questioned about the network of deteriorating pipes below the roadways, Calvert said the piping and road repair walked hand-in-hand. “We have the USDA loan to start working on our water infrastructure and as you know, a lot of the water and sewer connections in our city are underneath the roads. That’s one reason TX DOT has withheld money from us. They’re tired of coming in to fix Houston, Goliad and Bowie (streets). Then, we have a water break and we have to tear up their nice, new road to fix it and we end up with a patch in the middle of the roadway,” Calvert explained. “Fixing roads and fixing the water infrastructure are basically one and the same in a lot of this. In many cases, you can’t do one until you do the other,” he added. The councilman indicated he had sent Mayor Joni Clonts a copy of his letter, but as of late Thursday afternoon, he had not received any feedback. Calvert asserted to nullify the CEIDC, an election would be required because the organization is a tax supported entity which was established through an election. “If the public gets enough signatures on a petition, it is out of the council’s hands,” he said. Calvert indicated in order to get a measure on the ballot to dissolve the CEIDC, it would require 385 signatures or 10 percent of the registered voters in the city of Crockett who are eligible to vote in a mayoral election. “This is something I’ve thought about for a while. I can’t say exactly when I started thinking about this, but the idea has been bouncing around in my head for some time. When I sit on the council, I know I represent Precinct One, but the decisions we make affect the entire city. I know the city’s streets are something all five precincts are worried about because I know the streets in all five precincts are bad. I also know we have limited funds,” he said. The FY 2019 budget, according to Calvert, will have less funding to allocate when compared to the FY 2018 budget. Calvert indicated the sale of the former state school facility to Crockett ISD would help offset some of the monetary shortfall but cautioned it was not nearly enough to make any real impact. “It’s not enough for us to catch up. We seem to always be behind the eight ball and we’re always doing patches (on the roadways). We have never had enough of a buffer where we can catch up and actually do what I consider doing maintenance, rather than just applying Band-Aids to the problem,” he expressed. After looking at property taxes, Calvert asserted there was no possible way to ask the citizens to cover a nearly 30 cent increase on the current tax rate. As a result of this, he said he started looking at sales tax. 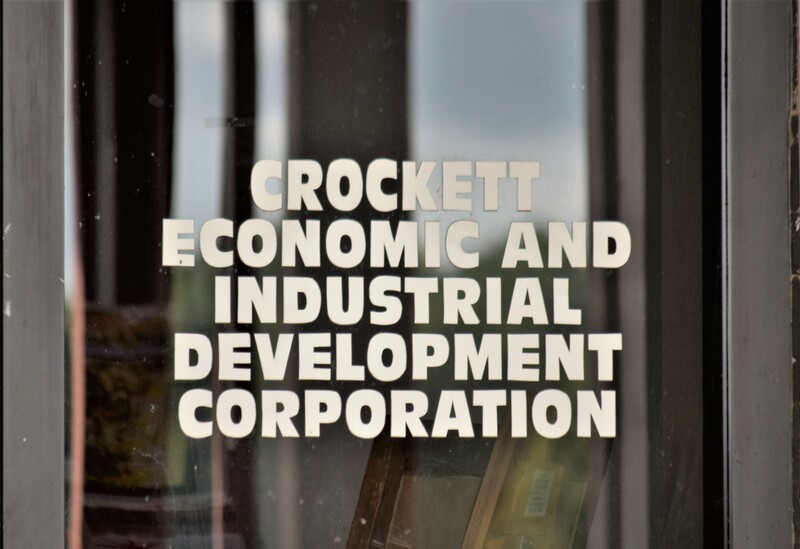 If the measure was to garner the support necessary to be placed on the ballot “… in terms of the greater good, it provides more of a benefit to the citizens of Crockett than the funding going to the CEIDC,” he said.